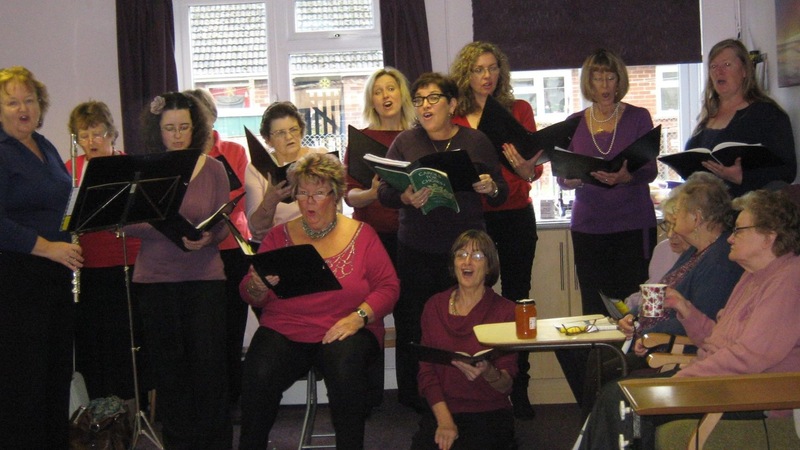 On December 10th a small group of sopranos and altos sang carols at the Haven Day Centre in Tiverton. 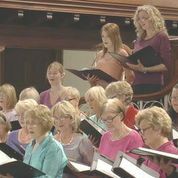 The singers were directed by Lynne Lyddon who also embellished some of the carols on the flute and accompanied on the organ by John Blythe. 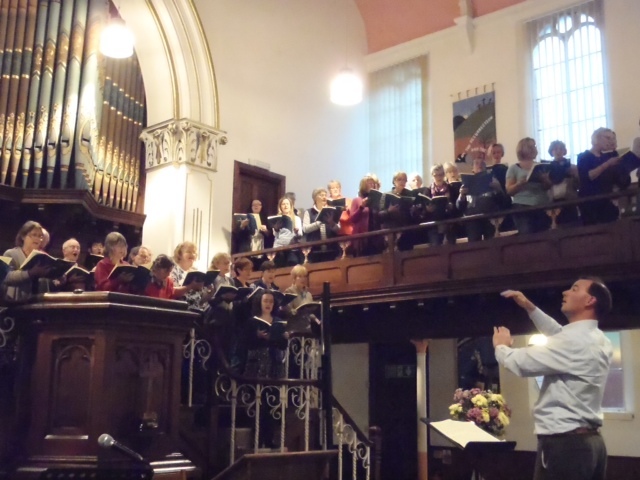 A short programme of choir items and carols for audience participation was well received by a lively audience and the occasion was enjoyed by all. 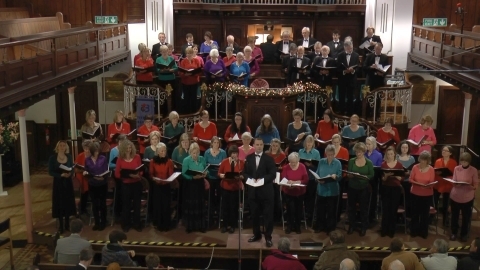 In November we presented a concert to mark the centenary of the First World War. The evening was presented by Stephanie Hughes. 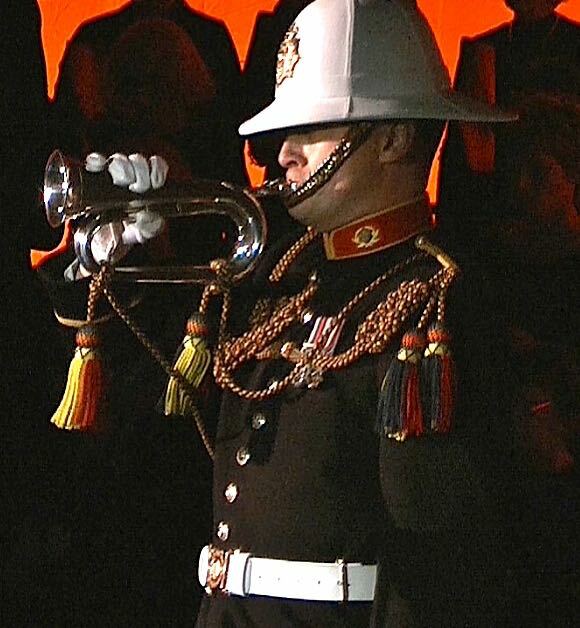 The Last Post was played by Damian Challis from the Royal Marines. 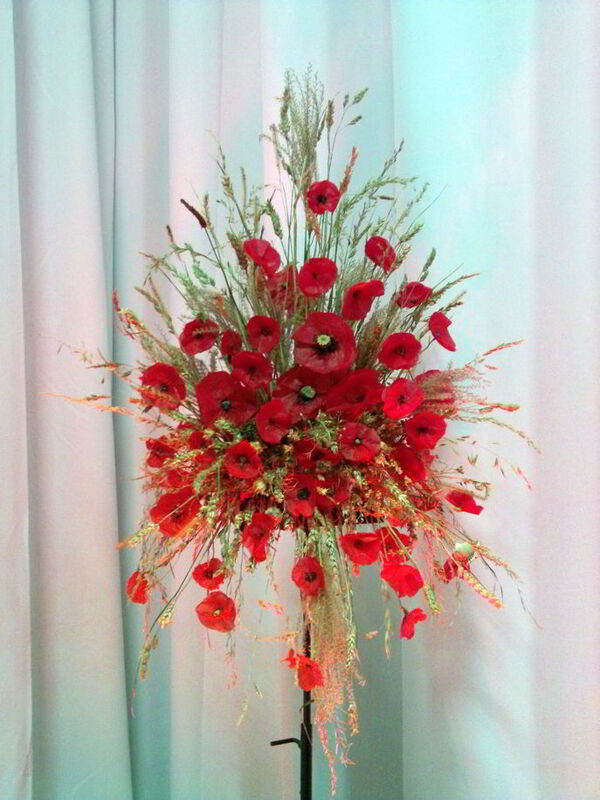 “Many congratulations on a fabulous concert. 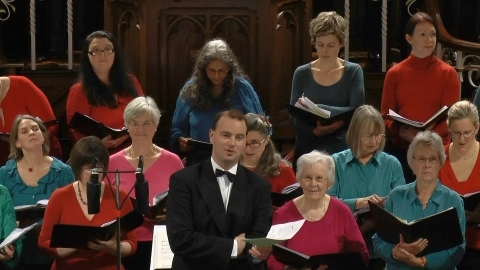 All the comments I heard were very favourable and there is no doubt that the contribution of Stephanie Hughes and the marine trumpeter put the Choir’s offerings on a new level. The event went off very smoothly as far as I could tell, for so many people especially managing the throughput at the interval, You (Vice Chair, Sue North) must have worked incredibly hard, but what a rewarding evening for you all. How do you beat that will be the next challenge! Well done- I hope you have recovered from all your exertions. I felt I had to get in touch with you all to let you know just how much I enjoyed working with you on Saturday. …..the positive spirit and theatrical energy which the choir produced was simply magical. ….. It was an inspired interpretation. The sheer performance nerves of steel from Damian Challis and the way it was staged was spine tingling…a memorable musical experience, its not often I will leave a stage feeling, “that was really special “. on 10th May at the Baptist Church in Tiverton. 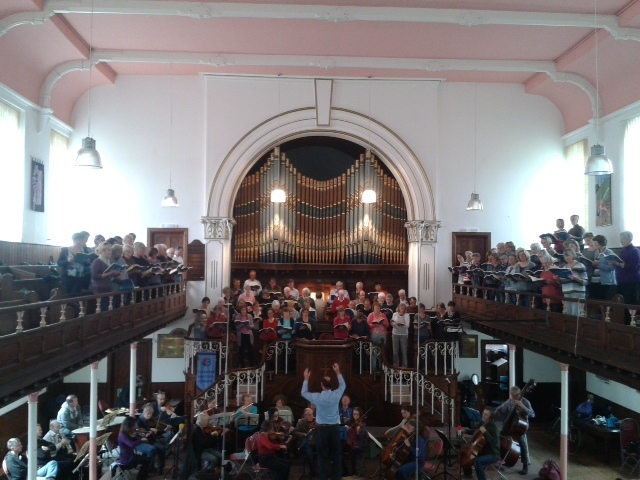 Part of the choir rehearsing the B minor Mass in the Baptist Church, Tiverton. “I thought the Bach B minor mass was excellent. I didn’t look at my watch! 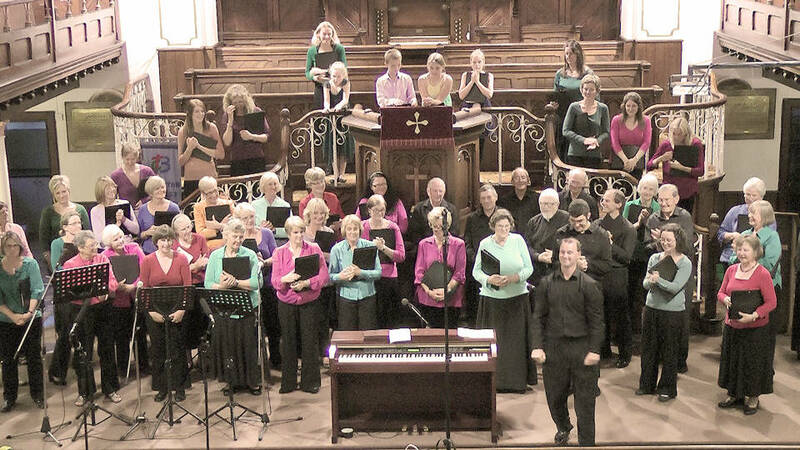 “That was such fun!” was the reaction from many who attended our Summer concert at Tiverton Baptist Church. 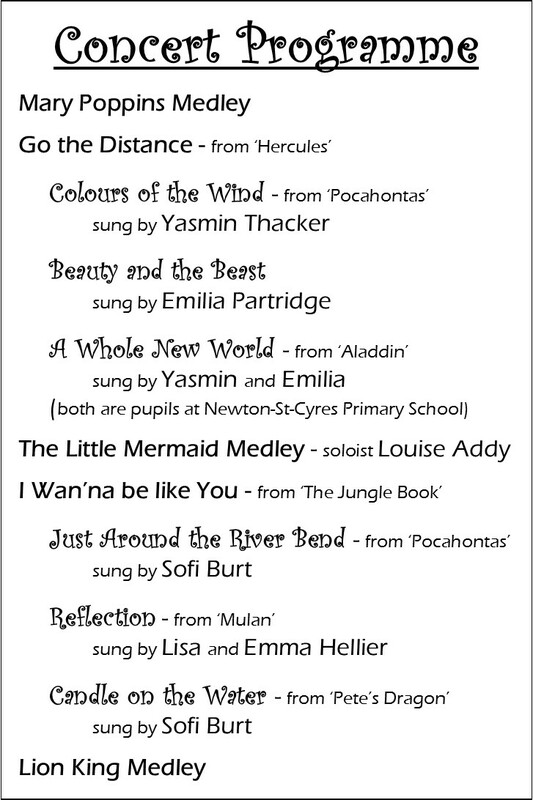 The programme included lively performances of Disney Medleys by choir and soloists of all ages and was well received by the audience. All the solo performances were of a high standard, everyone very taken by the assured presentations by Yasmin and Emilia from Newton-St-Cyres Primary School. 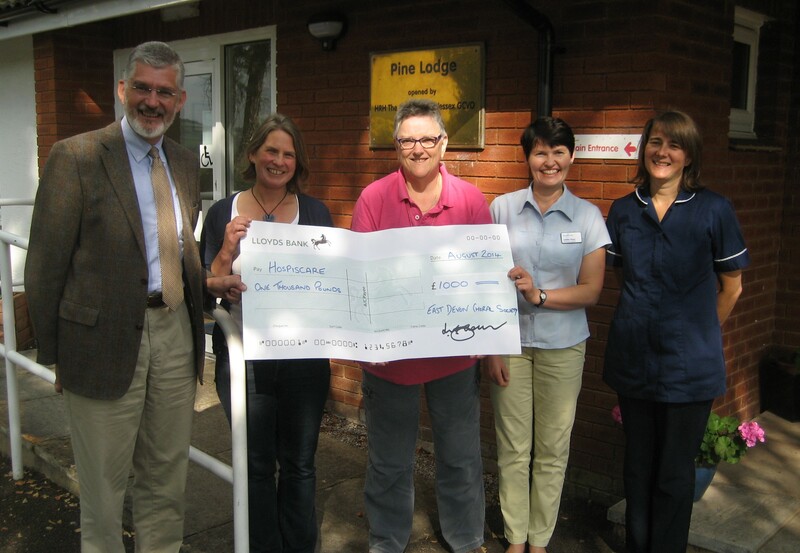 As a result of the collection and donations from the choir a sum of £1000 is to be presented to Hospicecare.